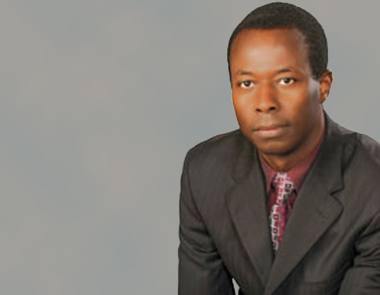 Pastor Isaac Bazié Native from Burkina Faso, Isaac Bazié comes from a Christian family in which he received values essentially founded on an active faith in the Word of God and church involvement (his father was a pastor). At 18 years old, he gives the control of his life to Jesus. After studying at Ouagadougou University, where he meets his wife Blandine, he continues his studies in Germany, a significant step in his spiritual life and academic training. In fact, he studies German and French literature at Sarre University and Bayreuth University, and also starts his pastoral education. This is how he comes to get involved in the Pentecostal church of Bayreuth while working on his ph.D. thesis which he finishes in 1998. Together with his wife Blandine, they moved to Quebec when Isaac obtains a position with the University of Quebec in Montreal as a professor, a position he’s carried since 2001, after teaching a short time in Rimouski. Isaac, Blandine and their three children, Joshua, Jonathan and Sephora, live in Saint-Jérôme where Isaac works as Senior Pastor since April 2008, while continuing his work at the University.